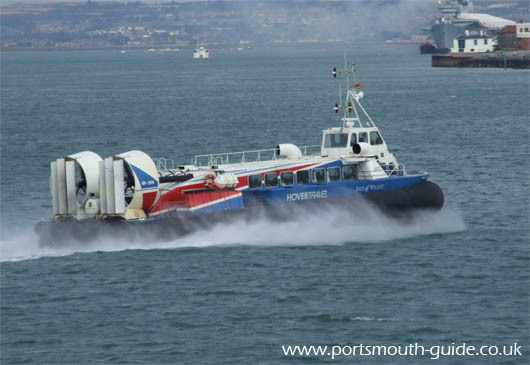 There is a hovercraft service which runs from Portsmouth to the Isle of Wight. The service runs frequently and journey times are approximately eight minutes. The above picture shows the hovercraft making its way from Portsmouth to the Isle Of Wight. For more information about the hovercraft service have a look at www.hovertravel.co.uk.